Deutsche Bank has launched eVault – a secure digital repository for exchange of documents. eVault is a legally compliant solution to move securely original electronic files from one party to another, while preserving its unique digital ownership, said the bank in a statement. 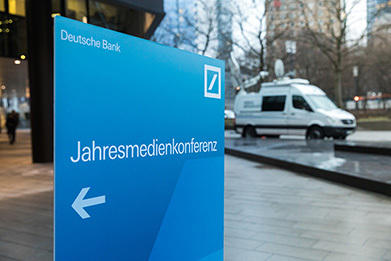 The eVault platform ensures authentication of the original documents in passing between owners, irrespective of how many duplicate electronic files there may be of the same record, says Deutsche Bank. The repository system relies upon digital tamper-proof seals and has an audit trail that ensures compliance and provides detailed reporting.